The time of 512MB video cards has come. It's only the first steps so far. 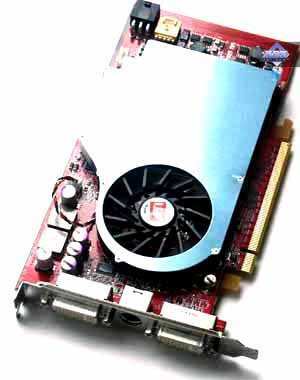 Remember 2003, when the first RADEON 9800 PRO with 256MB cards were launched in a small quantity, while all High-End cards used to have 128MB maximum at that time. Of course, it was a purely marketing move, our tests proved that overpaying for 256MB was a waste of money at that time. However, the ball started rolling, and later on all new High-End models were equipped with a quarter of gigabyte (only junior High-End models still used only 128MB of memory). This marketing move soon spread to Middle-End and even Low-End sectors, so that even relatively weak accelerators got their 256MB of memory. We have tested this issue a lot of times. Purchasing such very expensive cards is almost always not justified, when these cards just start to appear. That's because games are developed for the memory installed in most middle end accelerators. That's why very few projects require extra memory. Now it's turn for 256MB to become the minimum memory capacity in old products or low end representatives of the latest generation. As I have already mentioned above, it's time to try a new video memory capacity - 512MB. 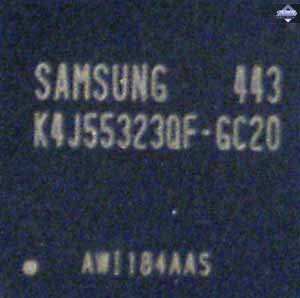 However, the fastest GDDR3 memory is very expensive so far, and the doubled memory size (as well as the number of memory chips, e.g. 1.6ns access time), will result in the huge rise of prime costs for such cards as the X850 (these cards use such memory), which are quite expensive even in their present state. So no one will want to pay $700-750 for a 512MB X850 XT PE instead of $500-520. But the gradual introduction of such memory capacity is required by marketing and other factors. That was why it was decided to use 512MB of memory in the X800 XL (almost Middle-End) instead of the X850 XT. 2.0ns memory was sufficient for this card, it didn't require 1.6ns memory. Besides, the price rise would not have such a negative effect on the demand, because it wouldn't exceed the reasonable limit (if you can call $500 a reasonable price for an accelerator today). While the recommended retail price for the regular X800 XL is $300 (real prices are already going down to this mark), the recommended price for the X800 XL 512MB will be within 400-410 USD (it may initially reach the X850 XT level - $490 - because the card is new and the retailers are greedy). Should you really overpay $100 for 512MB of onboard video memory instead of just 256MB? We are going to investigate this issue today. We shall also speculate who will be interested in such a product today. 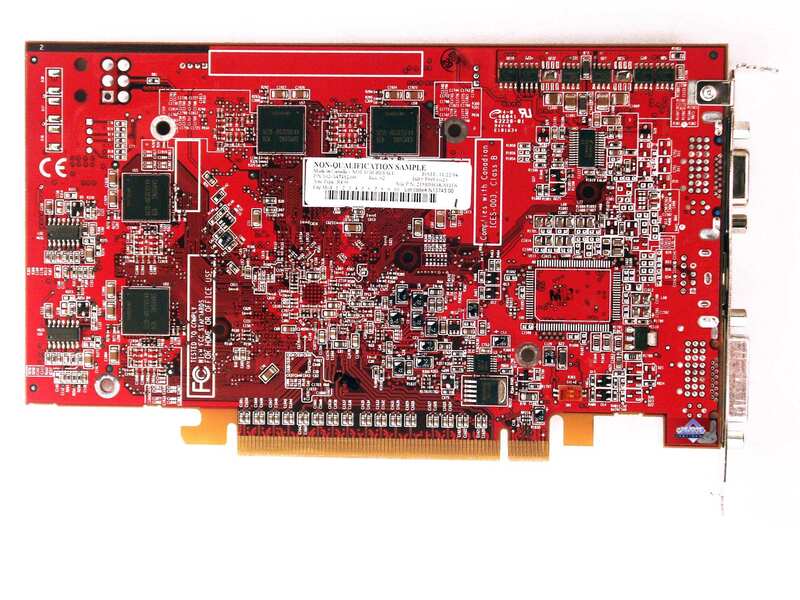 Dimensions: 190x100x16mm (the last figure is the maximum thickness of a video card). The new card obviously differs from its predecessor only by the doubled number of memory chips, the rest is actually the same. As the PCB layout provided for an external (additional) power connector from the very beginning, there were no problems with that: due to the increased memory power consumption, designers had to roll back to the 6-pin power connector, which had been removed from the X800 XL, so such cards consume more than 75W. 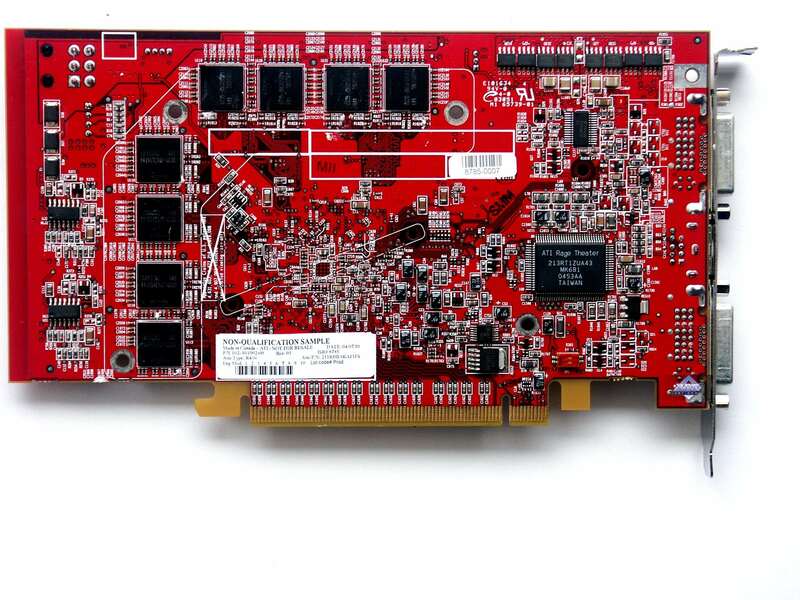 The card has VIVO, where VideoIn is based on RAGE Theater. We should also mention that the card is equipped with a couple of DVI connectors. There is no point in describing the cooling system, because it consists in the same reference cooler, which we have seen many times in cards like the X800 XL. You can just look into our reviews. I can tell you that there are no problems with the noise, the cooler is very quiet. As it's a reference card, we cannot possibly describe the bundle and its package: it's a prerogative of production-line cards from ATI partners. ATI drivers 6.525 (CATALYST 5.4); NVIDIA drivers 71.89 WHQL. Game tests that heavily load pixel shaders 2.0. This test requires much from shader performance, but we can see that 512MB of memory has a positive effect on performance: the new card considerably outperformed its predecessor at 1024x768, though it never reached the X850XT level. Shader unit performance is dominating at higher resolutions, so both X800 XL cards are almost on a par. 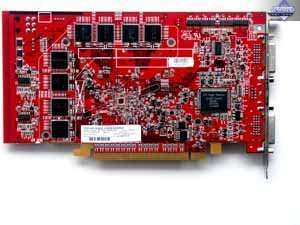 Note its advantage over the 6800GT (the X800 XL 512MB may have the same price as the 6800GT 256MB). These tests illustrate that FarCry does not at all need 512MB of memory: the X800 XL 512MB is no different from its 256MB counterpart in performance, and the new card is certainly outperformed by the X850XT (which is on the contrary close to this card in price). The only good news is the advantage over the 6800GT (but the same applies to the cheaper X800 XL 256MB). Note that we included DOOM III with Ultra-High quality settings into this group of tests. These settings rule out compressed textures (and the textures have higher details), so the total texture volume exceeds 256MB (even when the game was just released, the developers warned that this mode would be available only with 512MB cards without losing performance to transferring data via the bus). This very test demonstrates strong advantage of the X800 XL 512MB over its 256MB counterpart. It even managed to reach the X850XT performance level! 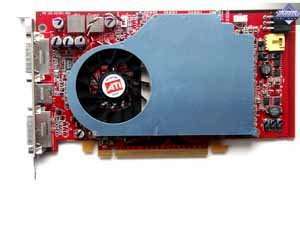 The 6800GT is faster anyway, but video cards from California are always faster in this group of tests, we have discussed that many times. The doubled memory capacity of the X800 XL had absolutely no effect in other tests. We can only see the 11% gain at 1600x1200 in one of the CR tests. Like the first test, it's also critical to the execution speed of shader instructions. But you can see that the X800 XL 512MB is a tad faster than its counterpart with less memory under an additional AA+AF load. The difference is not so large though to analyze the reasons.